A 44-day-old baby, named Nguyen Ngoc Minh, died around 2 p.m. on Friday, six hours after having been injected with Hepatitis B vaccine at Ngoc Thuy Ward medical station in Hanoi’s Long Bien District. According to Dr. Nguyen Thi Thuy, director of Long Bien District Preventive Health Center, the baby’s family agreed to let the Forensic Department conduct an autopsy on the infant to determine the cause of death. The center also demanded the Bac Giang General Hospital to temporarily cease using the Euvax B vaccine, as well as requesting health officers monitor the health of the 193 babies who were also injected with the vaccine, produced by South Korean-based LG Co. Source: Thanhniennews.com, news report, 6th January 2008. Aluminum hydroxide, Thimerosal , Yeast, Sodium chloride, Sodium phosphate-monobasic, Virus: Hepatitis B, Potassium phosphate. Although thimerosal in children’s vaccines was phased out in America in 2001, I have found Aventis Pasteur data sheets dated 2003 which list thimerosal in countries other than America. Thimerosal is also used in the manufacturing process of most vaccinations and according to the manufacturer’s, may still contain trace elements of the mercury derivative, even if it is labelled as mercury free. A five-month-old infant, Surya, died nearly 12 hours after she was administered the first dose of the DPT, Oral Polio and Hepatitis B vaccines on Wednesday. Authorities at the Institute of Child Health, Egmore, declared her dead on arrival last night. The parents chose not to file a police complaint and refused to allow post-mortem. Public health officials said it was unlikely to be a vaccine death because the most common cause, anaphylactic shock, would occur within an hour of vaccination. Editor’s Comment: the latent phase, where side-effects occur later is well documented in medical literature. For instance, professionals say that adverse reactions to MMR are more likely to happen 10 to 14 days after the shot. A two-month-old boy died allegedly after being administered three immunisation injections at a government dispensary in Sonepat on Wednesday. The hospital authorities kept the body at the civil hospital’s emergency room for post-mortem. Police have started investigations after receiving a complaint from Pooja, the victim’s mother. The police said Pooja alleged in her complaint that her son was administered three injections by an employee of the health department at the dispensary on Wednesday and as she reached home, the child started vomiting and bleeding through nose profusely. She said when she took the child to a nearby nursing home, doctors declared him brought dead. I believe my only child, Samantha, died from childhood vaccinations. Her immune system gave in after she was given the shots. Parents can waive those shots, citing their own religious convictions, if written on paper and given to the schools. If parents had their children vaccinated, they should give them lots of vitamin C, since vaccinated children seem to be prone to lots of infections, asthma and SIDS, for example. To learn more about the side effects of these shots, contact the National Vaccine Information Center, 407 Church St. Suite H, Vienna, VA 22180. 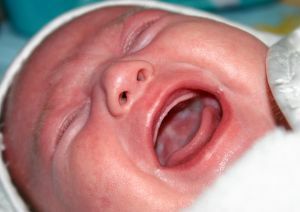 A series of infant deaths after receiving the pentavalent vaccine had prompted doctors and academicians to write to the centre against its mass use. Now, the Indian Academy of Pediatrics (IAP) has issued a statement commending the government’s efforts in providing free pentavalent vaccines and calling the fears as unfounded. The pentavalent vaccine is supposed to provide protection against five life-threatening diseases – Diphtheria, Pertussis, Tetanus, Hepatitis B and Hib (Haemophilus influenza type b). While, the DPT (Diphtheria, Pertussis, Tetanus) and Hepatitis B are already part of the national routine immunization programme, the union government has recently added the protection against Hib. The combination together is called pentavalent. The centre had recently introduced the vaccine in Haryana, Goa, and Pondicherry after Tamil Nadu and Kerala. Three infants had reportedly died in the past one month in Kerala after receiving the vaccine, while one death was also reported from Haryana this month. ON JANUARY 10, a day after a 42-day-old was administered pentavalent vaccine in Kerala, the infant developed fever and died. This was a repeat of what happened at Chalakudy Taluk Hospital on December 30. A 47-day-old was injected the same vaccine; it slept at night but did not wake up. Parents of both the infants suspect the vaccine caused the deaths. A doctor at the forensic department of Thrissur Medical College, where the post-mortems were conducted, said on condition of anonymity that the vaccine may be the cause as there was no other reason for the death. At least 13 deaths have been reported from Kerala, Tamil Nadu and Haryana, all pointing towards pentavalent vaccine. Demanding analysis of mortality data from the two states, academicians, health activists and paediatricians wrote a letter to the health secretary, Ministry of Health and Family Welfare, on January 15. They pointed out that the National Technical Advisory Group on Immunization (NTAGI) had stated that the vaccine would be extended to other states only after data from Kerala and Tamil Nadu were reviewed and the vaccine was proved safe. Testing for safety and effectiveness of vaccines leaves a lot to be desired. 2: Vaccine makers are protected at the federal level from being sued over adverse vaccine reactions. 3. Doctors don’t like it when you ask them to sign a paper taking 100% responsibility for any and all adverse vaccine reactions. Perhaps the lawmakers would like to take 100% responsibility for all adverse reactions that occur with this forced, one size fits all vaccine bill. Neuro-toxins have no place in the human body, and aluminum and mercury are just two of many nasty ingredients that we are subjected to when getting vaccines. I personally have had many serious issues because of mercury and aluminum; (mostly due to silver amalgam fillings, and vaccines in the service) the road to recovery is slow and long. It is my opinion that kids who are vaccinated should have their vitals checked before the jabs, and at regular intervals for thirty days following the jabs, and keep it independent from the vaccine makers. That is the only way any real research is going to get done. A four-day-old baby girl died after allegedly being administered hepatitis vaccine at the Government hospital here, officials said today. The baby’s parents in a complaint to the Government College dean Soundararajan said the vaccine was given yesterday and the infant died within half-an-hour. The spot where the vaccine was injected turned pale and the baby died, the parents said. Officials are verifying if the vaccine was properly refrigerated or had expired. High drama was witnessed at Thane Civil Hospital on Monday, after a month-old baby girl, Ayushi Gupta, died a few hours after she was administered oral pulse polio drops along with Hepatitis B vaccine and DPT (diphtheria, pertussis and tetanus) vaccine. The baby’s parents, Amit and Lata, who reside at Mahagiri Koliwada in Thane, blamed the vaccination for her sudden death, and a complaint of negligence has been filed at the Thane Nagar Police Station. A post-mortem was conducted, but doctors have reserved the cause of death and the deceased’s viscera have been sent for chemical analysis at Kalina’s Forensic Science Laboratory (FSL). Amit Gupta, who is employed at a garment shop, said his baby was due for the first doses of vaccination, and was unwell when they took her to the hospital. “She was coughing but the doctor at Thane Civil Hospital who examined her said it was because of the change in weather,” Amit said. The girl’s parents said she was administered two injections (Hepatitis B vaccine and DPT), and the polio vaccine was administered orally. “As soon as she was vaccinated, she started crying,” said Amit, adding that the doctors said she may cry the entire day due to the vaccination and that it was a “common side-effect”. Ayushi was rushed to Maltibai Hospital where the doctors declared her dead on arrival. “They told us she had died more than an hour ago,” said an inconsolable Amit, who has another daughter, aged four. The hospital’s medical superintendent, Dr R B Kulkarni, said that 22 infants were administered vaccines on the same day as Ayushi. “None of them were brought in with any complaint. It seems to be an odd case where the baby may have had some health problems,” said Kulkarni. VAN UK’s Comment: Death after vaccination is considered rare because whenever it happens doctors pass it off as ‘coincidence’ or say the child was suffering with something else.